Already looking ahead to next year’s vacation? US editor Dan Howarth has picked out 10 of the best hotels for the design-conscious traveller – for city breaks, beach holidays or rural escapes – for Dezeen’s review of 2017. 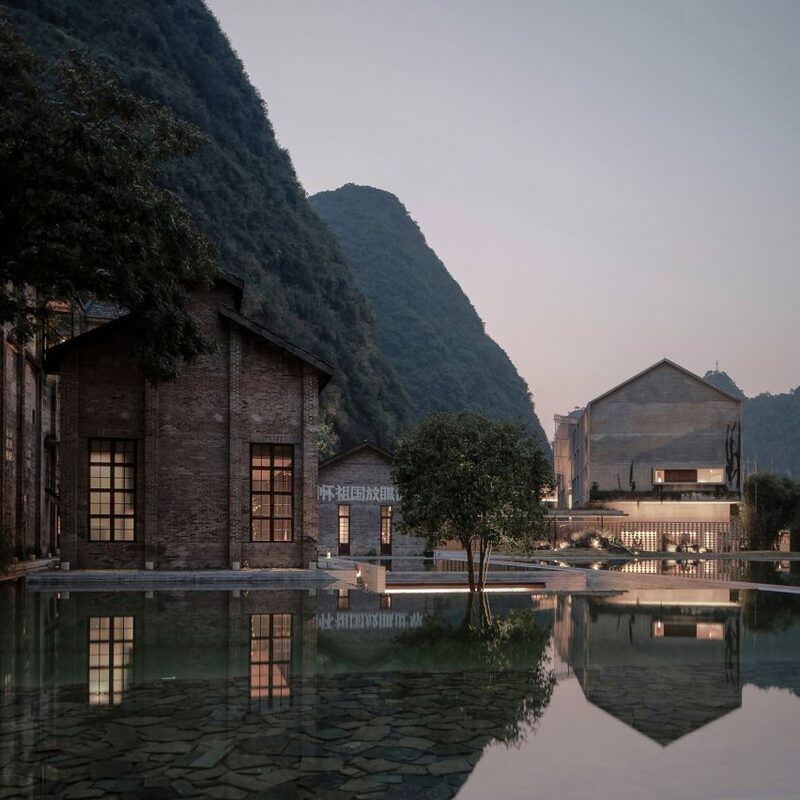 Vector Architects transformed a disused sugar mill in China’s mountainous Yangshuo County into this resort hotel, featuring a group of gabled masonry structures designed to complement the existing industrial architecture. The hotel is situated in a col between two of the karst mountains that makes the area in the Guangxi region a popular destination for tourists looking to take in the picturesque scenery. 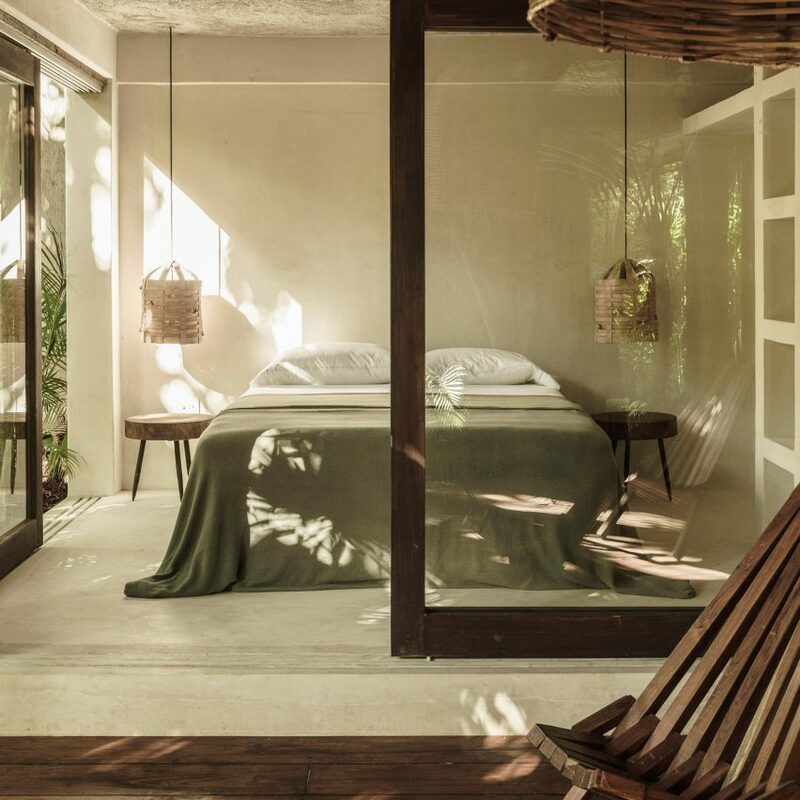 This white-concrete guest house in the Mexican resort of Tulum is surrounded by dense tropical foliage, which can be viewed from above thanks to a large roof terrace. The five-bedroom private guest retreat is faced in polished white concrete and set back from the main beach road – adjacent to the Sian Ka’an Biosphere Reserve. 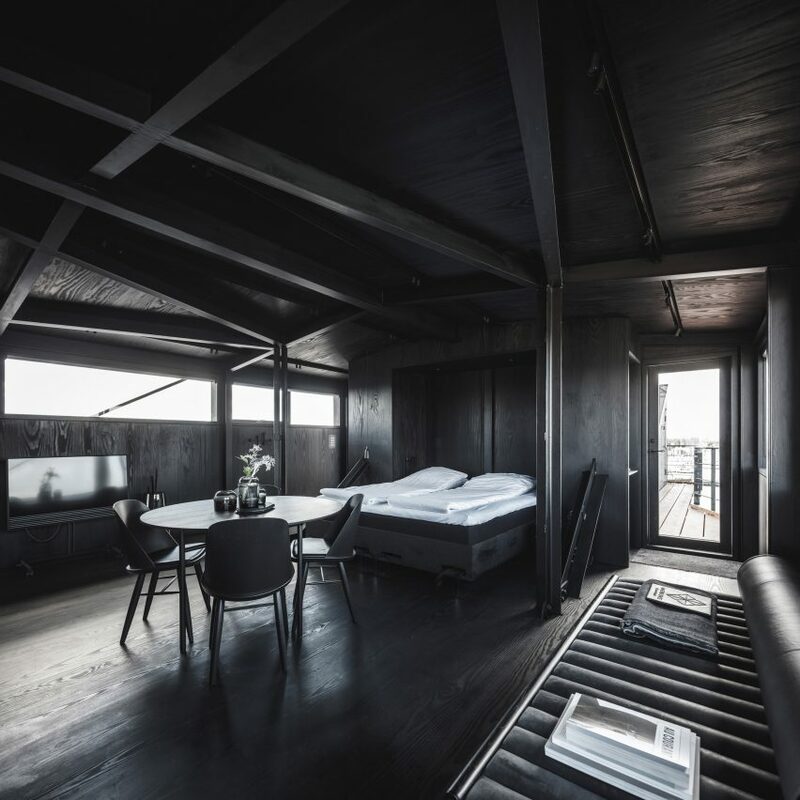 Architecture firm Arcgency has turned an industrial coal crane in a Copenhagen harbour into a luxury two-person retreat, including sleeping facilities and a private spa. Located on the edge of Nordhavn, one of the last harbours under renovation in Denmark’s capital, The Krane sits on the waterfront and accessed by a drawbridge-like staircase. Pastel-coloured walls, wicker furniture and an abundance of planting feature inside this Edinburgh hotel, which New York studio Grzywinski + Pons has designed to contrast with its 18th-century stone exterior. The studio chose a tropical material palette to contrast with the Georgian terraced houses, and enhance the warm colour of the Scottish light that floods in from the large windows. Brooklyn-based Studio Tack transformed a set of run-down structures into this cosy retreat, close to the rugged landscape of the Teton mountains and Yellowstone National Park. The Anvil Hotel’s 49 rooms are split over a collection of one- and two-storey buildings, which were first built as a motel in the 1950s. A former bank in the City of London designed in 1924 by British architect Edwin “Ned” Lutyens was converted into this lavish hotel, club and dining venue by Soho House, named The Ned in his honour. 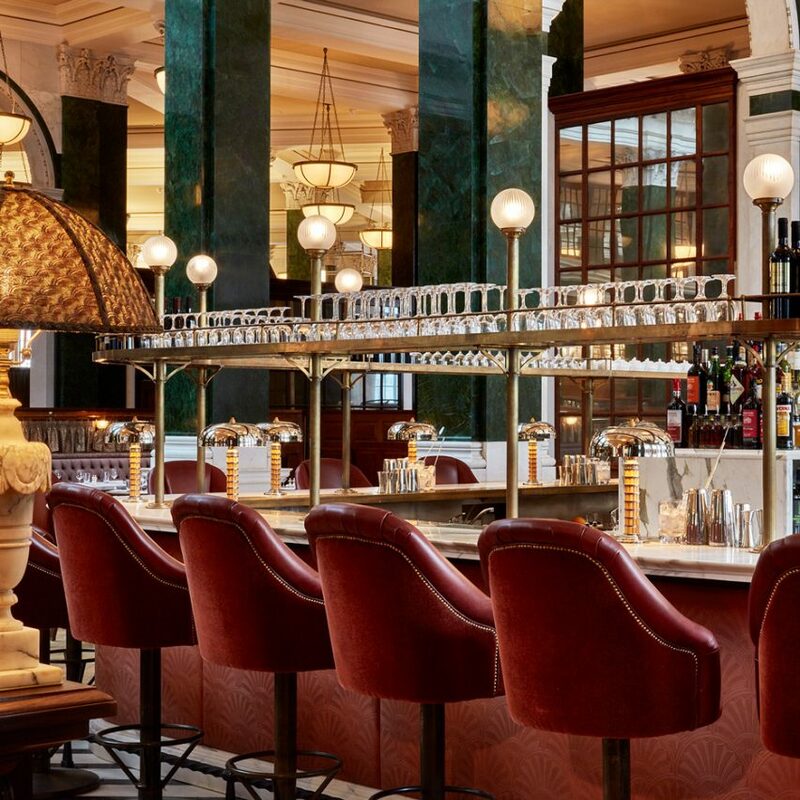 Featuring bars in the former bank vaults and multiple restaurants in the vast ground floor banking hall, the development is the latest project by the exclusive members’ club chain. Located in a brutalist former bank headquarters in Stockholm, the At Six hotel is home to one of Europe’s most significant hotel art collections. 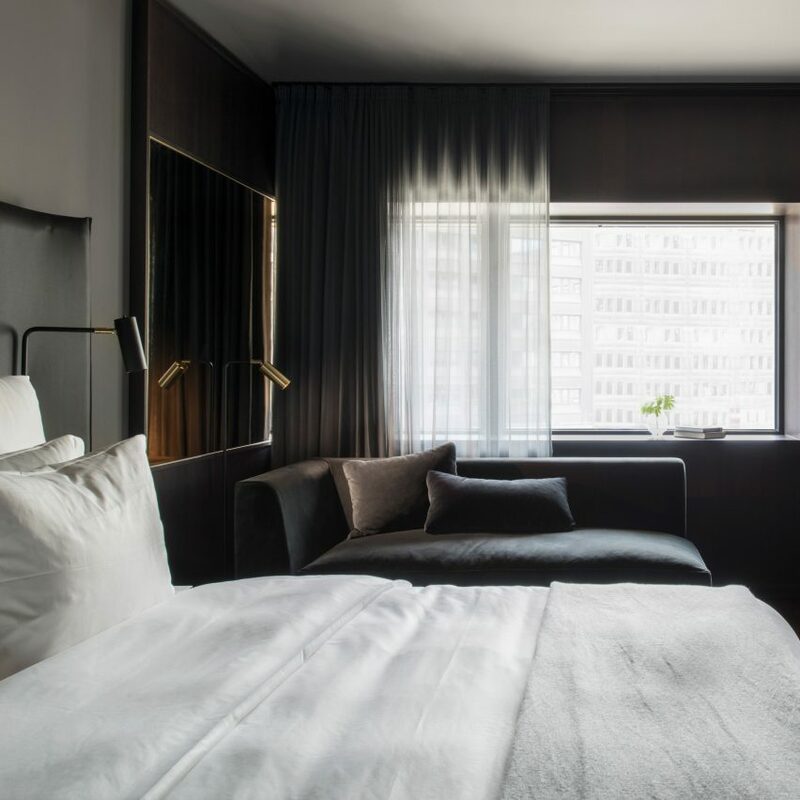 London-based Universal Design Studio carried out a complete interior renovation to create the 343-room luxury hotel in the Swedish capital’s Brunkebergstorg Square, and also designed a new entrance. 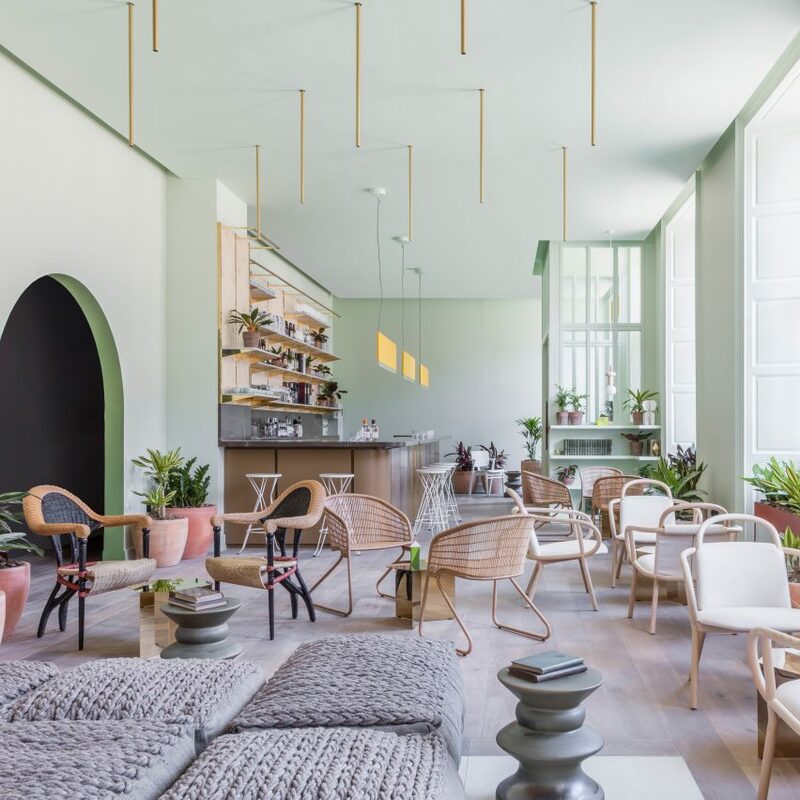 Spanish designer Jaime Hayón aimed to take visitors to this hotel in Madrid on a “visual journey through Spain’s past” by combining Arabic and Moorish details with his signature playful aesthetic. 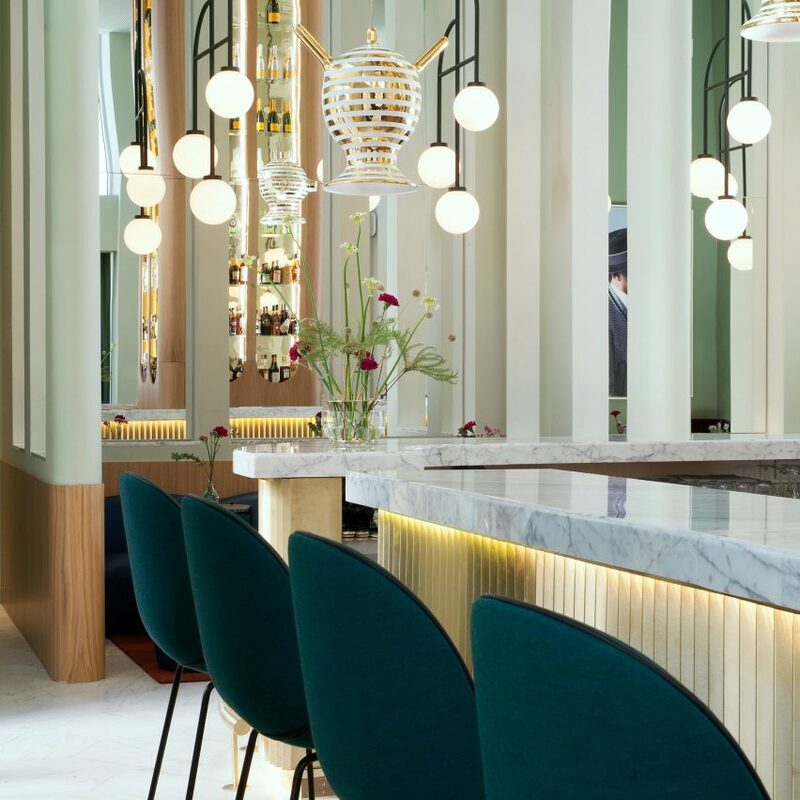 Set inside a 1957 building, it features a mix of traditional architectural elements, and a jewel-toned colour palette with fantastical sculpture and art pieces. 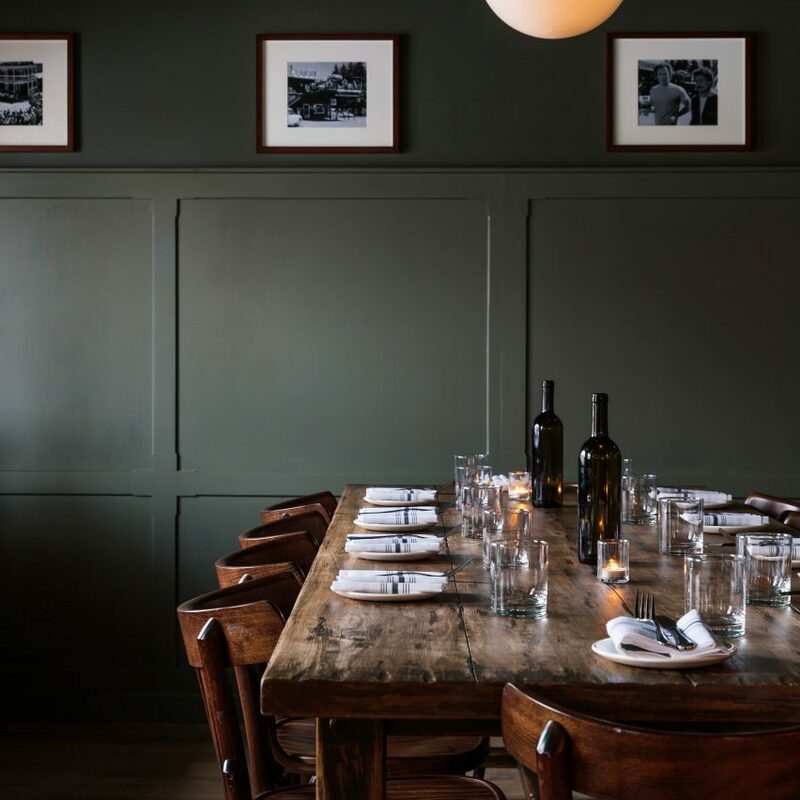 The finished product is a short-term rental that is filled with a whole household’s worth of new pieces, and emulates the feel of a boutique hotel in a traditional Venetian house. 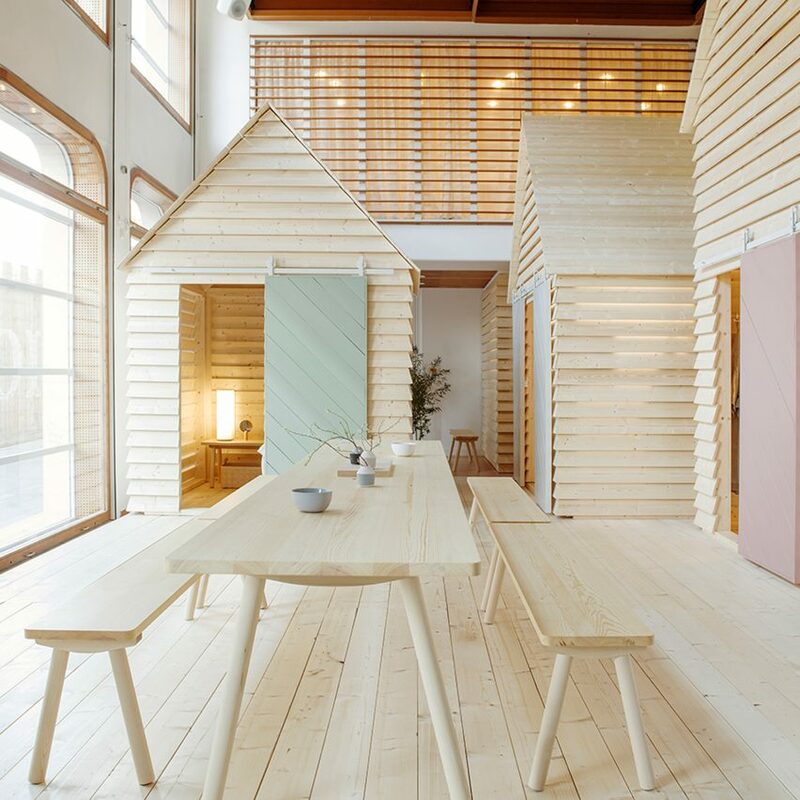 Visitors to the Koti hotel at the Institut Finlandais in Paris, conceived by designer Linda Bergroth, will be immersed in a Finnish experience.